I bet you’re looking for lunch ideas right about now! 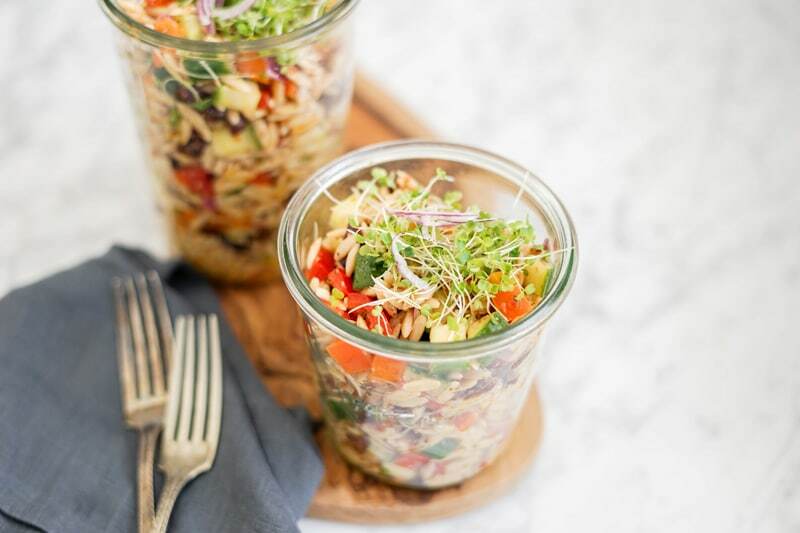 Everyone is always running out of ideas when it comes to making lunches for ourselves or the kids, especially when we’re trying to create healthy lunches, so I’m sharing this simple Orzo Pasta Salad Lunch recipe to help make your life a little easier. It can be made in about 20 minutes, and will provide around 6-8 servings, but you can easily double it to provide plenty of lunches for everyone for the week. It’s easy: make a big batch on Sunday, put it in an airtight container in the fridge, and simply use every day, for up to 4-5 days. You can add extra veggies with hummus, or a side salad, like this kaleslaw, or a couple of healthy muffins for breakfast/snacks, a fresh fruit, some Healthy Trail Nut Mix or a couple of powerballs, and you’re good to go. To make this salad a healthy and balanced one, look for a wholegrain pasta rather than white, and make sure to include plenty of vegetables, since these are part of the meal and not just for garnish or colour. Too often, pasta salad recipes don’t include nearly enough vegetables in it to make it a balanced meal, but not this one! Wholegrain will provide you with fibre, which helps your digestive system but also keeps you full longer and contain more nutrition, and of course, vegetables will give you some good vitamins and minerals that your body needs to function and perform well. You want about half of it to be vegetables and the other half pasta. Feel free to crumble some sheep feta cheese (if you eat dairy), or vegan feta cheese on top, but it’s delicious without it too. 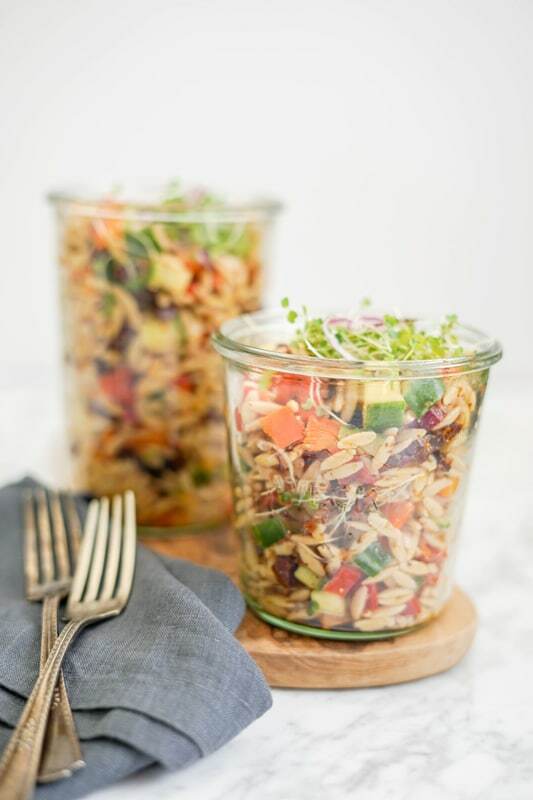 A simple, healthy and clean recipe to make an easy lunch with an orzo pasta salad packed with vegetables that will nourish your body in a delicious way! Mix all of the dressing ingredients in a large mixing bowl, then add all the prepared ingredients for the salad, and mix everything well to coat. This will taste even better the next day as flavours develop. Perfect for lunches! Previous Post: « Blueberry Kombucha Mojito – Healthy alcohol drinks? Yes! Not sure why I’m seeing this, but most images except your masthead look like they are posted with less than 100% opacity. It makes the food shots very uncomfortable to look at. (I popped over from The Art of Doing Things). Sorry you’re not liking my style of pictures. I don’t have any fancy camera or light equipment, so I have to deal with what I have: iPhone camera and natural light, or my kitchen light in the evenings (I usually work during the day, so the shorter winter days aren’t helping!). My comment was not intended as a criticism, but more an observation. I thought something was wrong on my end. I can’t begin to imagine the cost associated with running a successful blog, not to mention the skills! Your recipes are very appealing. No worries Denise, I do appreciate the comment. I just felt bad that you weren’t enjoying the pictures 🙁 Although, you never know, maybe the pictures aren’t coming across properly on your end? It could be too. I’m not sure. I know some of my pictures are darker than others (due to a lack of natural light when I take the picture). Orzo is one of my favourite pastas, especially in the summer it’s perfect for entertaining. Awesome! It’s such an easy and versatile pasta! This is now one of my favourite lunches. It’s great to make a batch and it lasts throughout the week. Hi Gabby, you are so right that one begins to run out of salad ideas. was attracted to this since I love orzo in side dishes so a new idea is welcome. The dressing also looks appealing! Some say that they wish the mason jar phase would end, but food in a jar looks so appealing 🙂 Thx for the share! Thank you! haha mason jars are so practical for so many uses! This looks so delicious! I love the idea of doing prep once and eating 2 or 3 times. ☺Pasta salads are so portable too! I’ll be in the lookout for some whole grain orzo next shopping trip! Thanks for sharing. Thanks for dropping by! Cook once, eat 3 times = yay! Running out of salad ideas? Oh for sure. The great thing about this salad is that it lasts for quite a while and gets better with age. I’ve been looking for an orzo recipe for a while now, so I’ve pinned yours to try for later. Thank you! It does get better with age. I hope you enjoy it! Oh, delicious, Gabby! I love pasta salads – they just get better and better the next day and your salad looks so very appealing. 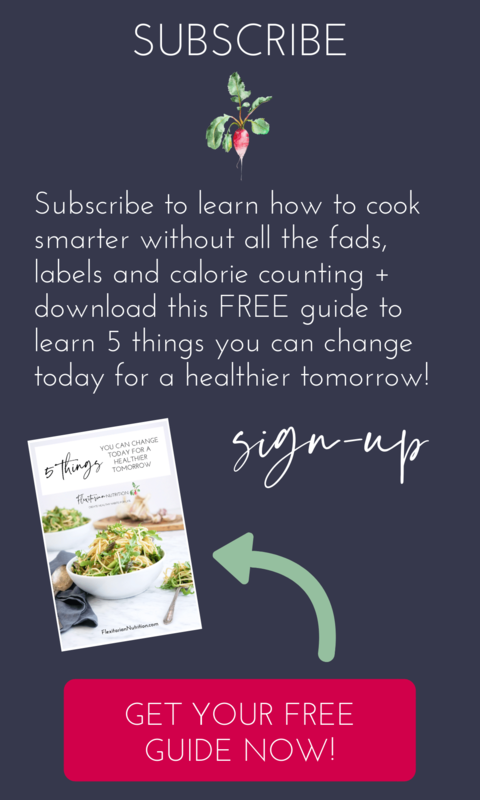 Your ingredient list is very accessible – I have everything I need to make your recipe this weekend for family and friends. Thanks for sharing. 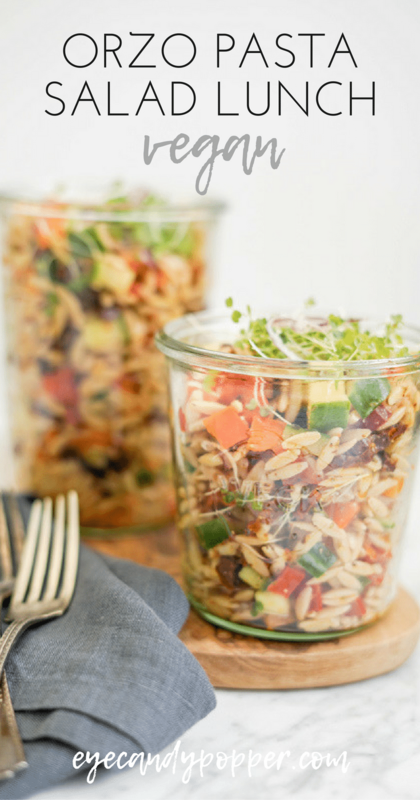 Love the idea of using orzo in a pasta salad. I bet this is great for lunch prep because the flavours get more intense the longer they sit together. Perfect for kids and adults! I haven’t had orzo in FOREVER and this looks like such a scrumptious option, Gabby! Love the fresh and bright photos too. Beautiful recipe! 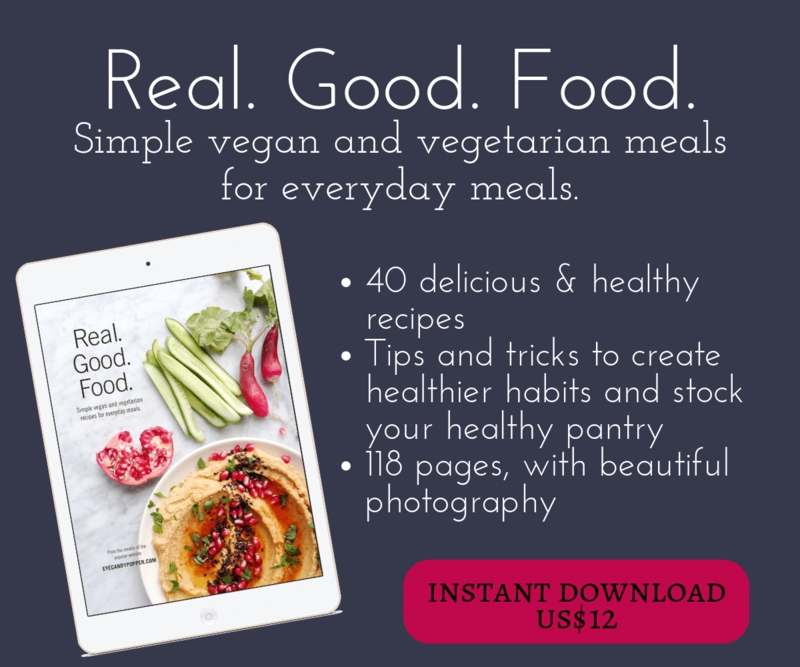 Hi Gabrielle, I think like anything healthy eating is something that requires some time to get used to , and over that time the body begins to crave healtier food. 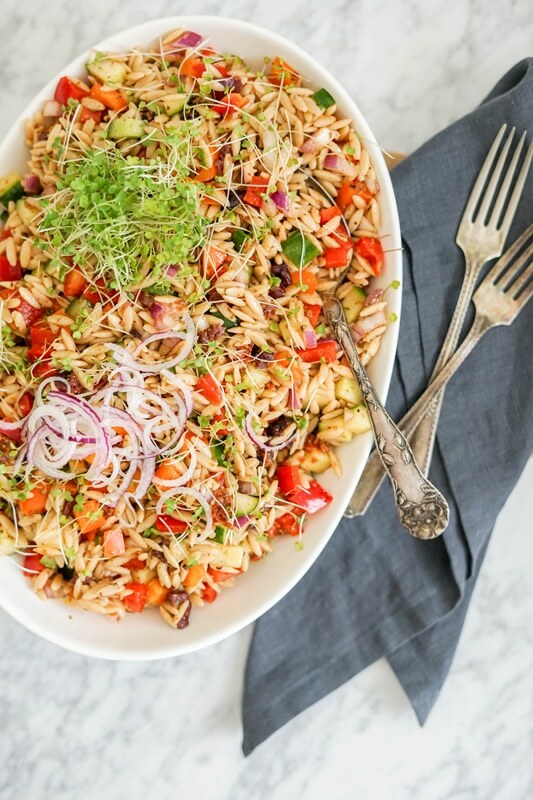 This orzo salad is so joyful and colorful, and I imagine it is packed with so many vitamins and nutrients, which is beneficial for our stressful busy lives. I don’t believe that there should not be any so called cheat days, as I am one that likes balance. Great job on this salad, aperfect thing to pack for the weekday work lunches, and one that looks substantial and delicious. Well said. Thank you for the thoughtful comment Loreto!